Get a taste of the Candy Fairies series with this yummy paperback bind-up that includes three Candy Fairies adventures! 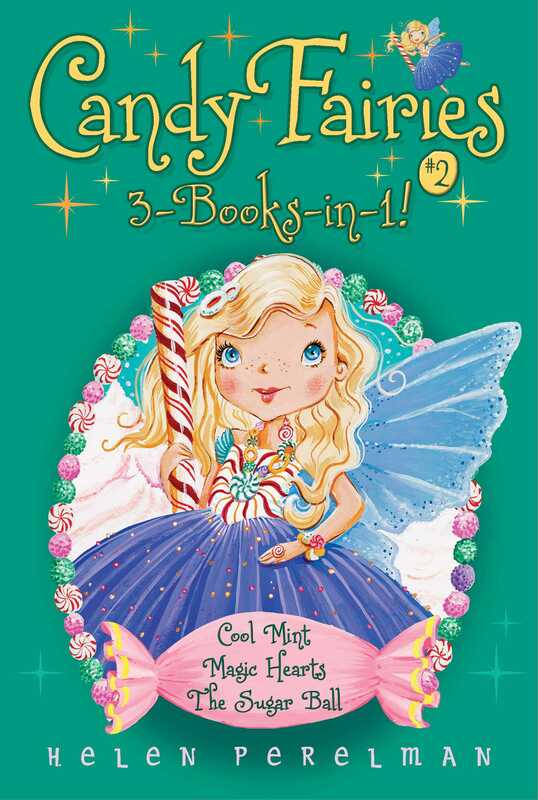 This supersweet paperback edition of the three Candy Fairies books includes Cool Mint, Magic Hearts, and Sugar Ball. In Cool Mint, it’s Dash the Mint Fairy’s responsibility to make a new candy cane throne for Princess Lolli. But she seems more interested in going marshmallow sledding. Will she find a way to do both? In Magic Hearts, Berry the Fruit Fairy spends more time making a new dress than making new candy for Heart Day. When she finds some wild magic hearts growing nearby, she thinks she’s solved all her problems, but she’s in a for a magic surprise! And in The Sugar Ball, all of the Candy Fairies are making fabulous new dresses to wear and candy treats to share for the upcoming Sugar Ball. Cocoa the Chocolate Fairy creates a magical chocolate wand to match her stunning new gown. But when her wand ends up in the wrong hands, can Cocoa and her friends clean up the mess?